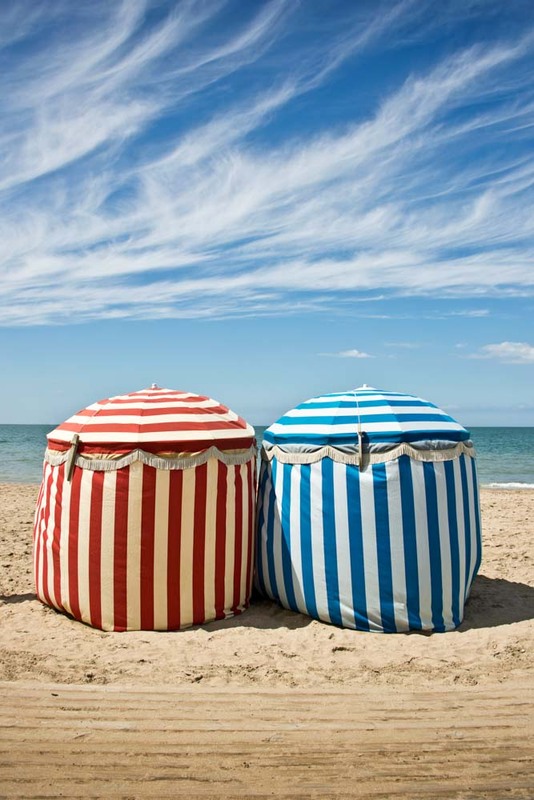 Hire one of Deuville's famous colourful parasols and bask on a deck chair on the beach. 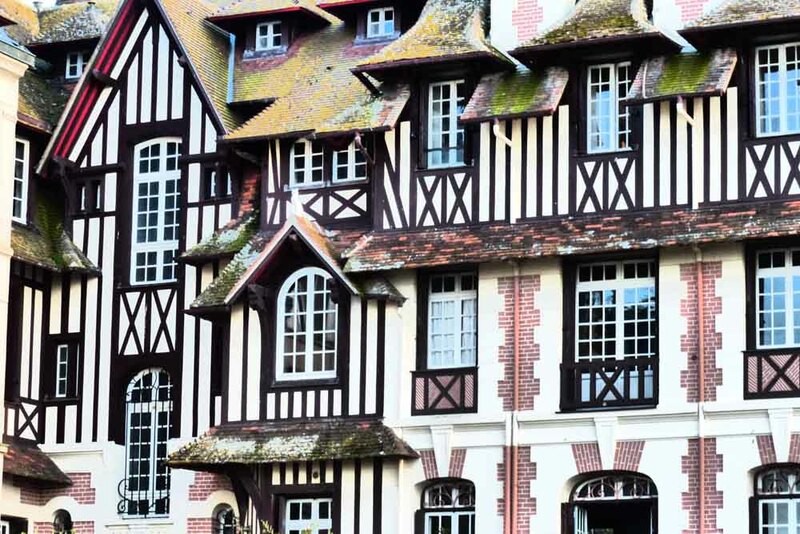 The French seaside town of Deuville is known for its old Norman architecture. 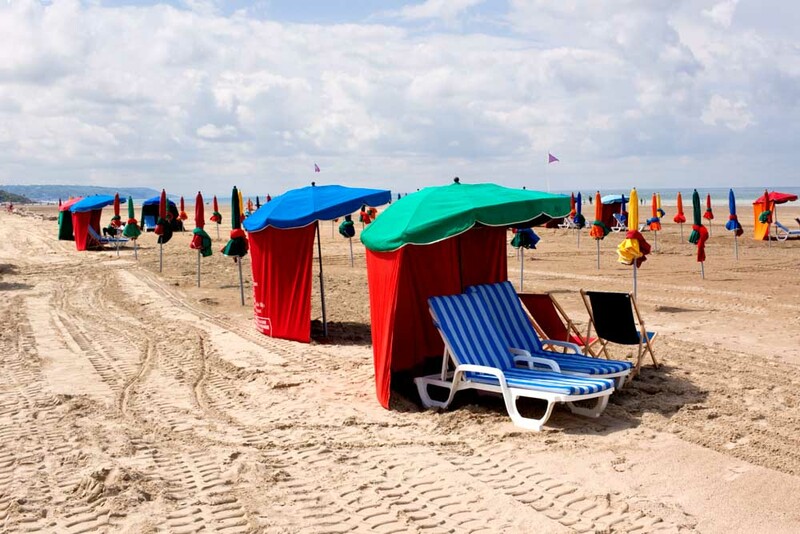 Traditional wind and sun shelters on Deauville Beach, France. 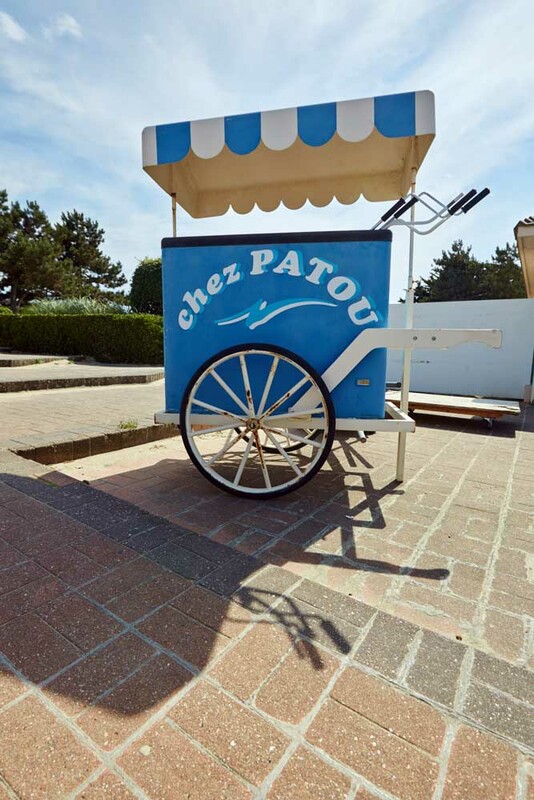 A seafront ice-cream stand, perfect after a walk on the streets. Deuville, France. After exploring the town, sit down for a French croissant and cappuccino. 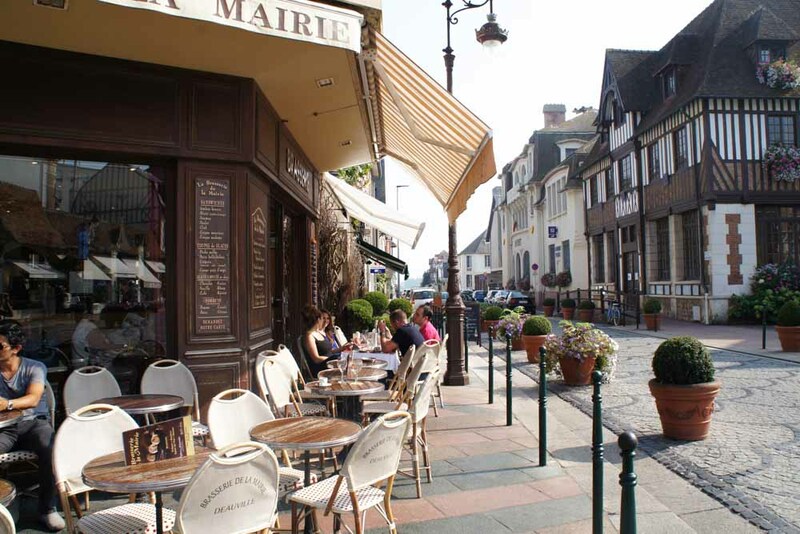 Megan Arkinstall follows the fashionable to Deauville, a glorious seaside town on the Côte Fleurie, the chic French city that influenced fashion icon Coco Chanel. When thinking of Chanel, it is Paris that immediately comes to mind, but it was in fact the small French town of Deauville that had the greatest influence on the makings of this fashion powerhouse. After great success with her Parisian hat store, she followed her lover Boy Capel to the Norman seaside town and opened up a second boutique. It was here that she was inspired to create a range of androgynous women’s sportswear, from high-waisted trousers to jersey sweaters to mid-thigh-length swimwear, all in neutral colours, predominantly beige and black. Her range was daringly fashion-forward and ultimately changed the way French women looked at fashion, their relationships with their bodies and their lifestyles. At this time, Deauville was a resort playground for the wealthy; well-to-do Parisians of the roaring ’20s flocked here for its famous beach promenade and Art Deco baths and cabins; for activities such as horse racing, polo, tennis and yachting; to hedge their bets at the flashy casino; and to stay in the prestigious Hôtel Normandy or Hôtel Le Royal, both built by well-known Parisian restaurateur Eugène Cornuché. Life was relaxed and the people impossibly elegant. And it’s still the case today. As we soak up some sun along the Promenade des Planches, it’s not hard to imagine exquisitely dressed women from the past strutting along the 653-metre long boardwalk, lined with beach cabins each boasting the name of a Hollywood celebrity (the town hosts the annual American Film Festival in September and along with it come the stars – we saw Will Ferrell working out at the Hôtel Le Royal’s gym during our stay), or basking in the sun on the beach, which is dotted with multi-coloured parasols and deckchairs. Or, for that matter, sipping on a chilled glass of Grande Cuvée at one of the beachside cafes. Indeed, Deauville is a blessing for those who want to exchange the Seine for some sun, sand and sea. But the town centre (where you’ll find Chanel’s flagship store) is the clincher that has us waving au revoir to Paris, for a few days at least; it is, after all, only a two-hour journey from Gare du Nord. Made up of perfectly patterned brickwork streets, quaint cafes with rattan bistro chairs lining the sidewalks, chic designer boutiques, impossibly neat gardens, gushing fountains and charming buildings of Norman-style architecture, with exposed timber and chequered walls, it’s hard not to fall in love with this town, just as Mademoiselle Chanel once did.